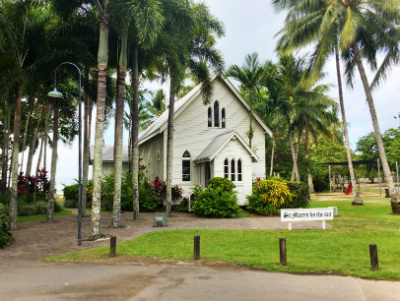 About an hour’s drive north of Cairns, up the Captain Cook Highway, on a promontory between Dickson Inlet and the Coral Sea, you will find my favourite Tropical North Queensland town – Port Douglas. 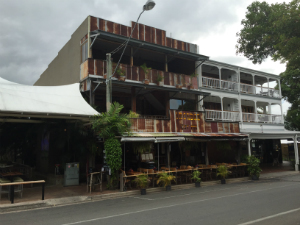 Here there are exclusive resorts, award winning restaurants, beautiful galleries and boutique shopping, all within easy reach of the Daintree Rainforest and the Great Barrier Reef. 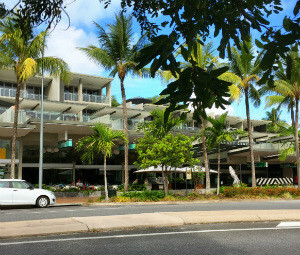 It combines the sophistication of a top resort town with the relaxed village life typical of northern Queensland. As you turn off the highway you pass the Rainforest Habitat Wildlife Sanctuary, manicured golf courses (which have the occasional crocodile making water hazards live up to their name!) and luxuriant tropical gardens belonging to some of the top resorts. 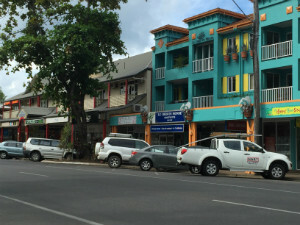 When you reach the end of that street, turn right in to Macrossan Street and check out the fantastic wide Four Mile Beach. The view from the Flagstaff Hill Lookout is worth the short climb on foot. 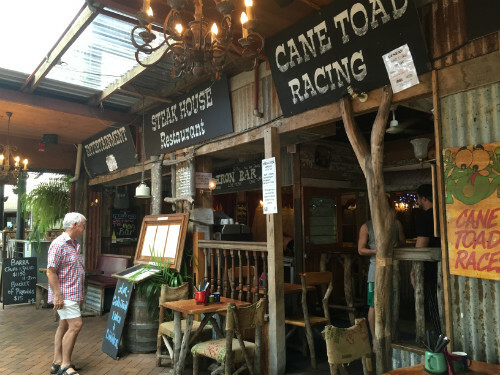 Back north along Macrossan is the heart of town – a shopper’s and a gourmet’s delight, with bars, pubs and some of the more eclectic accommodation options. This is a place you can easily while away a few hours. The Ironbar Pub will also entertain you at night with its Cane Toad races! At the end of the street is Anzac Park, at the mouth of Dickson Inlet, where every Sunday morning the Markets display a wide range of art, crafts, souvenirs and fresh produce. At other times the quaint little St Mary’s by the Sea Chapel provides the setting for those wanting a tropical wedding. 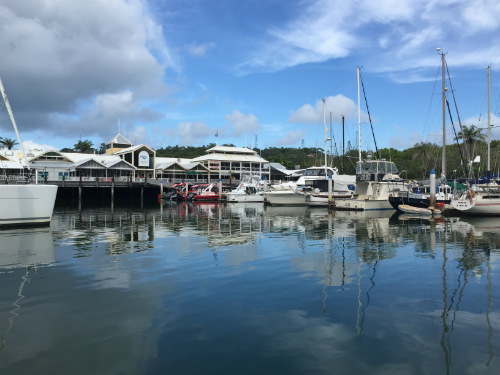 Further along you will find the Marina Mirage which combines a shopping and dining complex with a busy marina for boating enthusiasts and visitors to the Reef. Late in the afternoon, this port is teeming with tourists disembarking from catamarans which have taken them to either the Low Isles, the nearest point of the Reef, or to Agincourt Reef or one of the outer reefs. 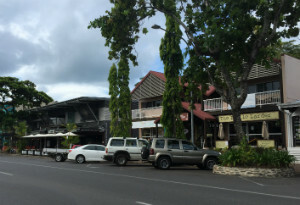 Also there, On The Inlet, as its name says, is a popular seafood restaurant with its own resident 250kg Grouper, which comes in for feeding every afternoon. Since our holiday in the area coincided with our wedding anniversary, we chose to dine at 2Fish, one of the town’s best restaurants. The food and wine were exceptional. 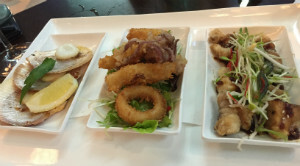 We started with a couple of share platters, moved on to Wild Barramundi and Yellow Fin Tuna and finished with Chocolate Truffle Cake. Yum! Outer Great Barrier Reef Snorkel Cruise from Port Douglas – $195.00Great for beginners, non-swimmers and first-time visitors to Tropical North Queensland cruise to Agincourt Reef from Port Douglas. You can watch fish feeding, go on a snorkeling expedition, try scuba diving, view the coral and marine life on a semi-submersible submarine, and enjoy a tasty buffet lunch. 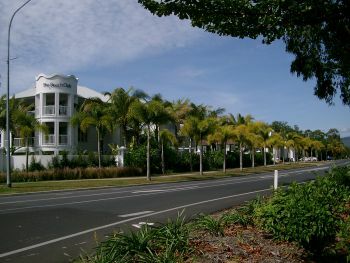 Wildlife Habitat Port Douglas – $26.70Visit the award-winning Wildlife Habitat and get up close to Australian native flora and fauna. 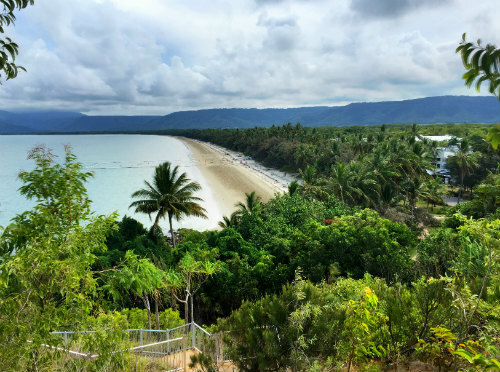 This wildlife experience just outside of Port Douglas has been created to provide a window into the natural environment. There are three different environments to explore – the Wetlands, Rainforest and Grasslands, each with unique habitats.